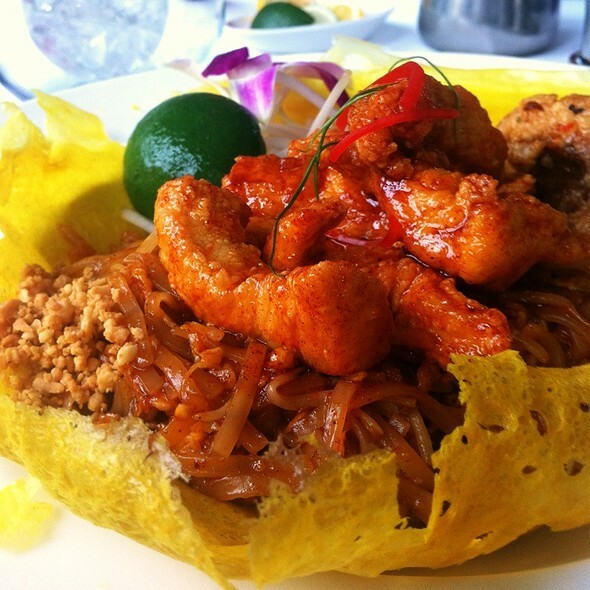 Recipient of the prestigious Four Diamond Award thirteen years in a row, Nan Thai Fine Dining is Thai food at its finest. The grand style & service are reminiscent of the 40's & 50's. All elements of this restaurant bring excitement & the wonderful aromas of food preparation back into the dining room. 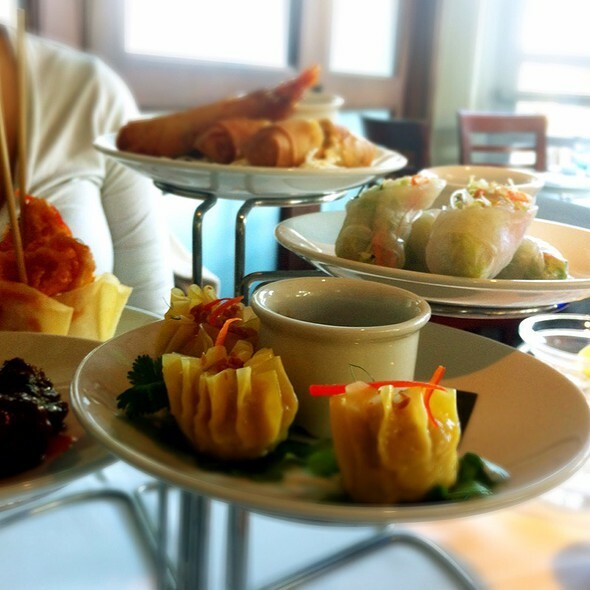 This Mother's Day Nan Thai Fine Dining will be open from Noon until 10 pm. Chef Nan Niyomkul will feature several mouth-watering specials for this special occasion. Reserve your table at www.nanfinedining.com or by calling 404-870-9933. The food and service was wonderful. You definitely get what you pay for. The ambiance was beautiful. 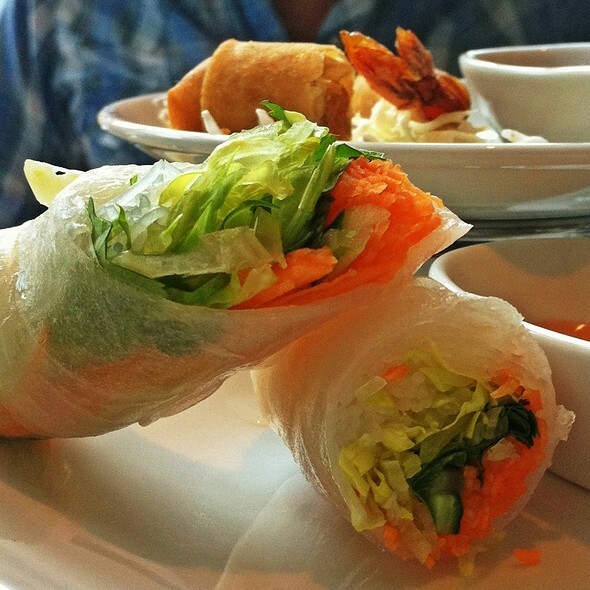 My wife and I have dined at Nan since the restaurant first opened and remains a favorite. This past Saturday, we were seated in the back room, a glass was tipped and spilled water in my lap, the food was not warm and 40 prom-destined teens joined us. While I am not even remotely upset about the spilled water, our experience was not in keeping with favorite restaurant status. We will be back to try again, but wanted to share our relatively unfortunate experience. We were delighted the teens were having fun!! I always have a great experience at Nan Thai. Great food, wonderful service, nice ambiance and the prices are good. One of my favorite places to dine. Excellent staff, food, and experience! I will definitely go again. KAY AND I EAT AT NAN-THAI AS LEAST ONCE A WEEK AND ABSOLUTELY LOVE IT. AND THE SPECIALS. MY FAVORITE IS THE WHOLE RED LOBSTER. 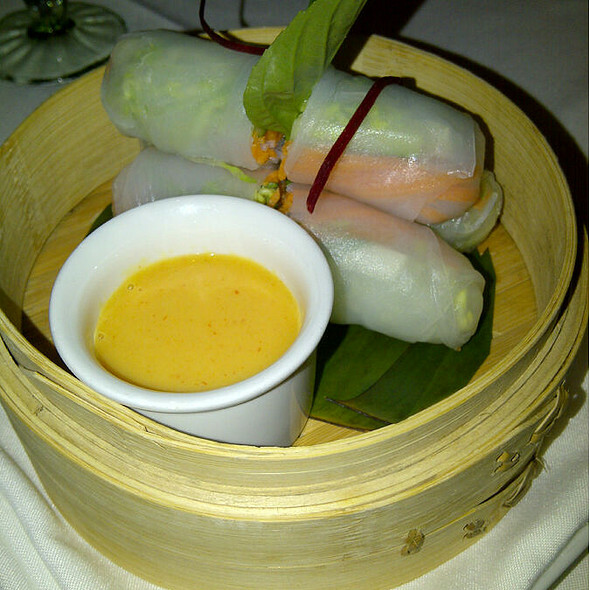 Excellent and authentic Thai cuisine served in elegant environment! Curry was super delicious! The Thai food here is always delicious with great service, and the best lychee martini anywhere! Excellent food and service. Nicest Thai restaurant I have ever been to. What a gem!! I was a bit skeptical about this place when I made a reservation. Once I arrived, it was a lovely zen classy joint. The food was just outstanding and the staff were attentive. This will be a place I always go to while in Atlanta. My reservations were at 9 PM on a Sunday evening. We arrived at 8:50. The host was not at all friendly. She informed us that it might be 9:15 before our table was available. We elected to dine at the comfortable bar. We sat there from 9-9:15 before the bartender arrived to take our drink/food order. He apologized for not being available to clean the counter space or take our order. Our soup arrived within a reasonable time, it was luke warm and mediocre in flavor. The Nuea Nam Tok was excellent and arrived in a timely manor. 20 min after our appetizer plate was removed the server informed us that the kitchen ran out of our Phanang Talay. He suggested that we order the lobster dish. We sat and waited for 40 min after finishing our appetizer for the lobster entree. The lobster was over cooked but the calamari was good. We ordered extra rice as soon as the lobster dish arrived. We inquired about the simple extra dish of rice twice. It arrived 10 min after we completed the lobster dish. The Tea Creme Brulee was excellent. Our waiter/bartender was friendly enough but not attentive nor did we get served in a timely manner while also serving guest in the adjacent dining area. I’m sorry to say it was a disappointing experience. As usual, Nan was great. Inventive food and perfect service. Atmosphere and service exceptional. 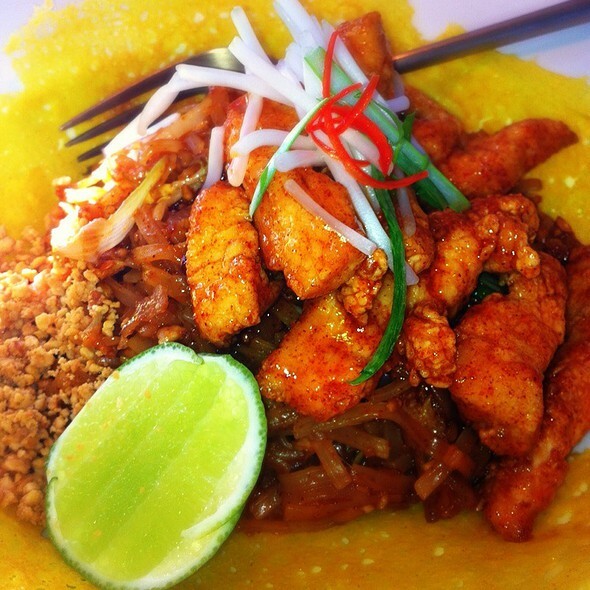 The flavors in our Pad Thai and Panaang were outstanding! Tai Tea Crème Brulee for dessert extremely nice. Will go again but was disappointed with the seafood in my dish as slightly overcooked. The food is amazing, love the atmosphere everyone seem to enjoy the restaurant. It's on the fancy side, which is super fun if you like to dress up to go out and dine with friends, date night or celebrating a special occasion! I will definitely be back. Great prices for the very amazing food and it's quality is superb! I wonder why I don't go more often. The service, the food, the atmosphere was all outstanding. Trang was our server and did a wonderful job explaining the many delicious choices on the menu as well as the specials. My wife and I celebrated our anniversary there and could not have been happier. Charlie, Nan's Husband also stopped by to thank us for visiting. We will definitely be attending more often. 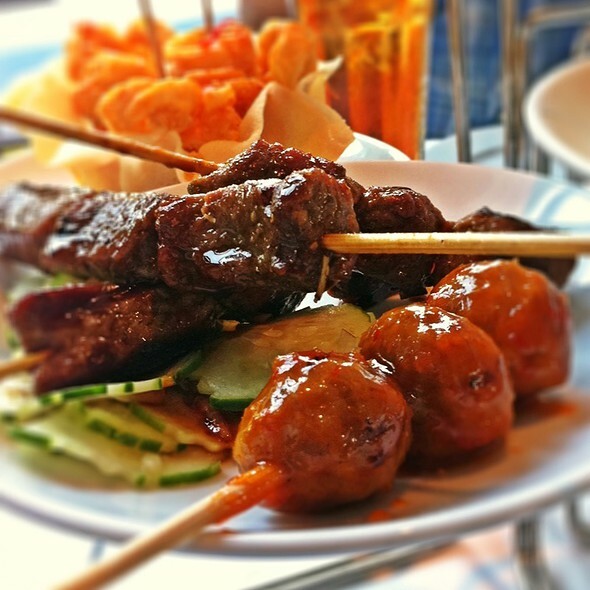 The service is excellent, the food is very good (upscale, classic Thai). We love to go as a couple for date night or to meet our friends. The cocktails are wonderful as well. Overall it's a great place to eat in Midtown. Great service. Great food. Nick our server was wonderful!! Very nice. We took two grandkids who go to Georgia Tech and Emory as a special treat since we came from Cincinnati to see them. We all had a very happy, fun time. I have had several delicious meals here --great food and wonderful service. But today they earned lasting loyalty. A couple of weeks ago, I bought a GC to surprise my husband with a birthday dinner for him w/rarely-seen college buddies. The hostess was so sweet, helped set up my plan and even pick the table. But the night of, I forgot the GC. Durh! Today, they refunded the cash despite it being against their policy. And they were even trying to figure out how to make a refund when they thought I was making the crazy request to just give back my $ for food consumed bc I'd forgotten the GC. Super nice, top notch service. AND my hubby and friends say the dinner confirmed to Nan's usual high standards. I'll recommend Nan again and again! Each and everyone of the staff are outstanding. The management team of Nan, Jason and Banks are excellent. Vanda, favorite server, always exceeds our expectations. The food is consistently delicious and the service is the best we have experienced in Atlanta. It is our favorite restaurant in the city. Couldn’t ask for more solicitous service. The food was very good, but it is pricey, but definitely fine dining. Service was slow but obsequious, the worst combination. The room is stunning and the food is presented beautifully, but my steak salad was hardly a salad, just slices of spicy steak on a leaf of romaine. My lunch companion liked her very mild chicken curry. High marks for atmosphere, but the rest was underwhelming. I personally don’t like all that bowing by the staff, but I understand that others may find it charming. I was reminded of why I haven’t been to Nan in years. no. it has been a few years and i realized while there why i havent been. the place has some of the signifiers of "luxe": the timer with the tea, black or white linen. but none of the grace of such places. the waitresses seem clueless, robotic. they must have been trained to cover a small spill (literally a drop of sauce) with a napkin. which made the table surface uneven. when the waitress came back and saw we had removed it, she asked: "where is the napkin that i put here"? another guest who after sitting down rearranged his fork kept having to move it back because each time the waitress came to the table she moved it to its original setting. come on! 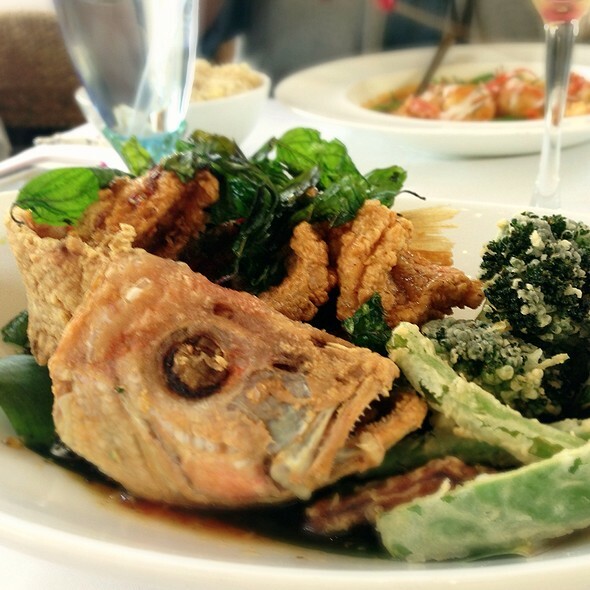 this place is provincial, caught up in its own sense of being upscale thai. and the food is just the same as most thai places in the south: way too sweet and ingratiating. ive cancelled my next reservation there -- only had made it because its open on sundays . . .
Dinner before theater. Our favorite. Outstanding dining experience as usual. Always an unbelievable experience. The food was delicious and beautifully presented. The service is the best in Atlanta. A memorable dining experience! Great Thai food in a gorgeous space. This is a fabulous, high end Thai spot that I just love. 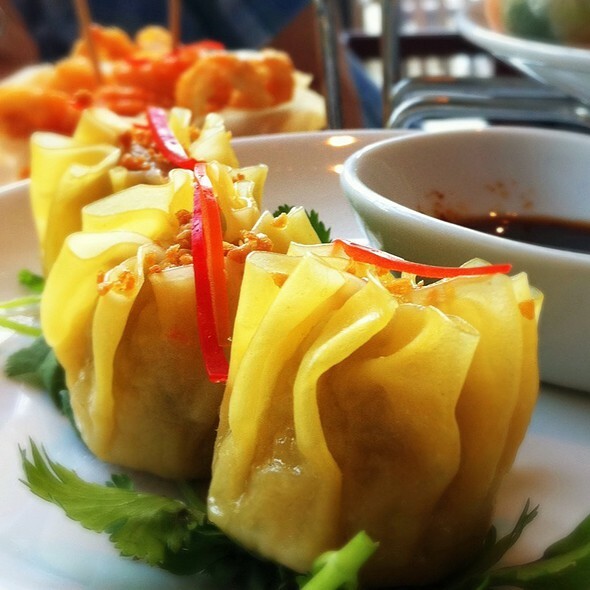 The menu has both classic Thai dishes and some twists. We enjoyed the tower platter which had a half dozen mixed appetizers. 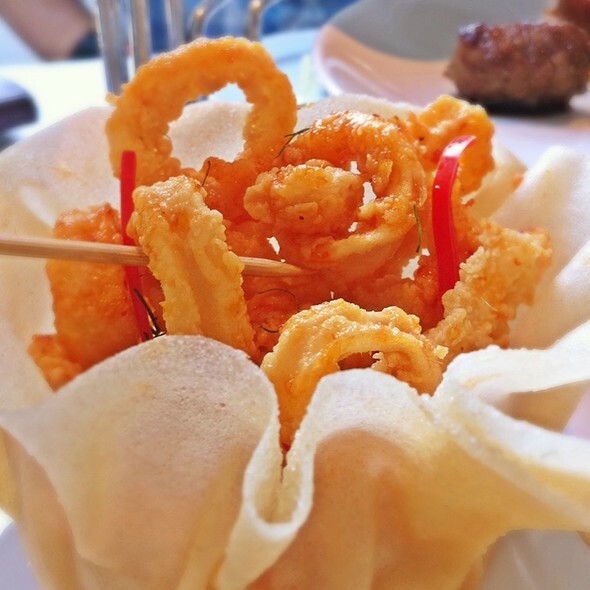 Calamari, basil rolls and dumplings were the stand outs for us. For mains we had a beef salad and chili lime Chilean Sea Bass. The beef was absolutely spot on but the bass was overdone a touch. All in all though, the meal was so good. This is one of my favorite Thai restaurants and we travel a lot. The staff remembers you from previous times and is very attentive. We went a little later than usual and our child had no nap and they were super accommodating to our needs. The food is fabulous I’d recommend Kai Siam. The portions aren’t very big but filling. From the time we arrived through the entire meal, the service was impeccable. Our waitress, Elle, was attentive but unobtrusive. We were entertaining an out of town guest and he was thoroughly impressed. Nan does many things well, but I think their seafood dishes are at the top. This is clearly one of the best restaurants in midtown, if not in all of Atlanta. Service and food is consistently five stars!